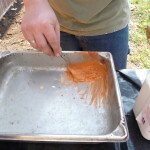 I’m breaking this up into edible bites. 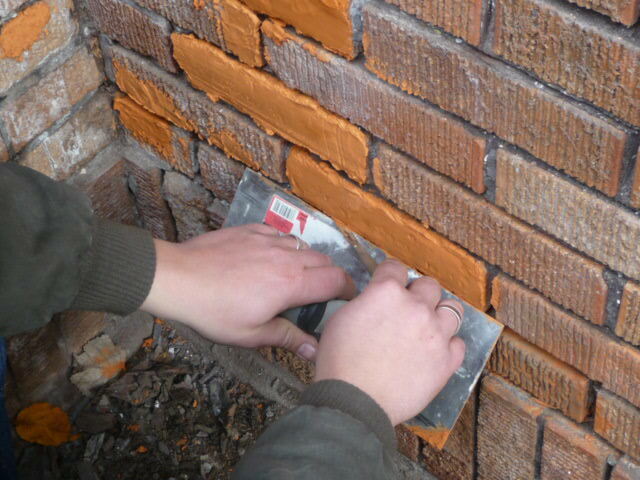 Volume 1 shows the preliminary fundamentals. 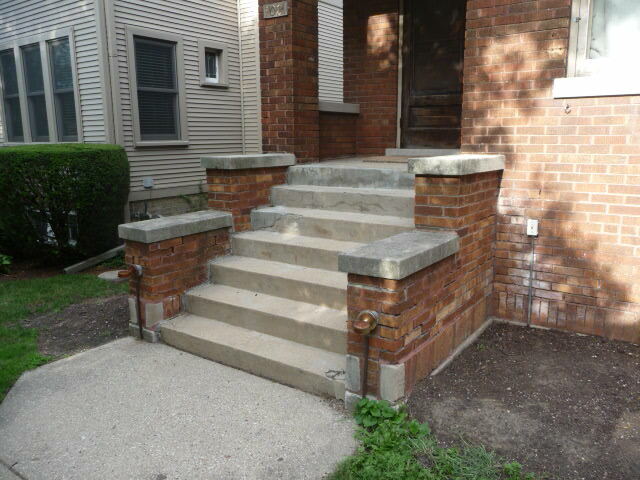 It happens after 90 years (plus or minus a decade or so). 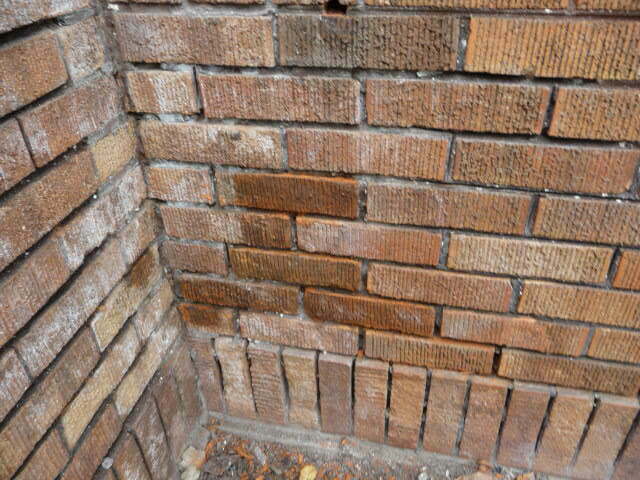 Side walls fall apart, previous owners messed up the face brick with old awning hardware, nearly a century of dirt and limestone staining, a big settlement and lintel jack crack in the front wall….. and a bunch of brick that’s odd size and isn’t manufactured anymore….so I can’t replace the damaged brick. 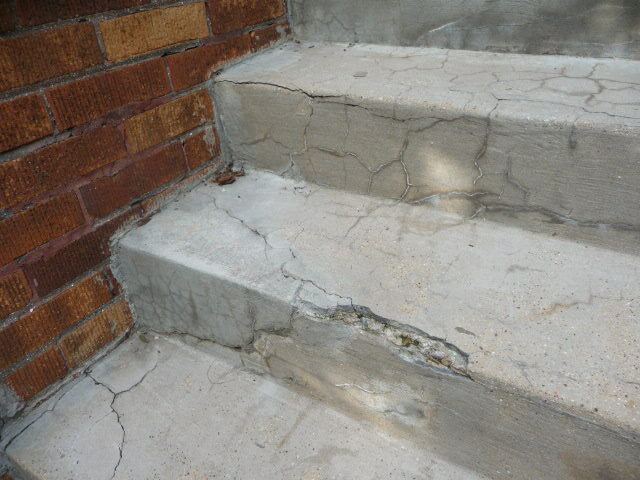 Years of Chicago winter and lousy repairs demolished the porch. 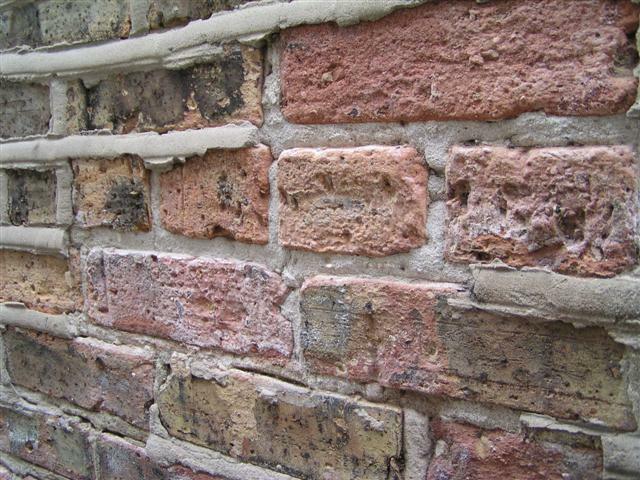 Bricks were sitting there by the grace of gravity alone. 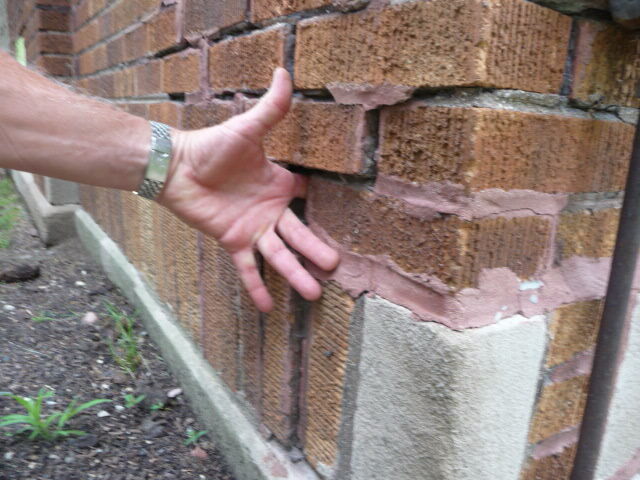 There were gaps big enough to stick your hand into. 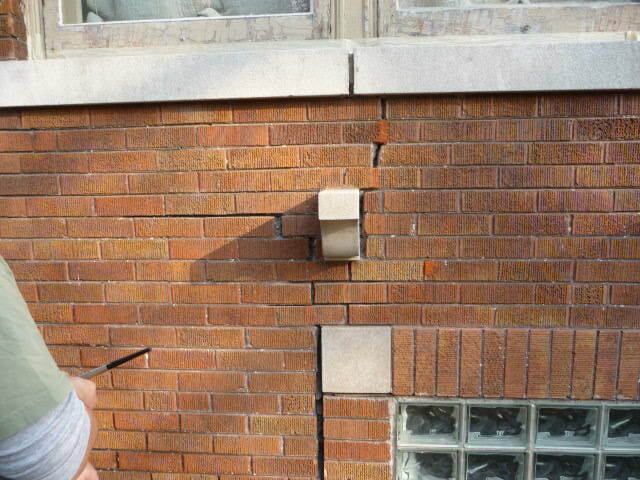 Concrete was completely fractured and falling apart. 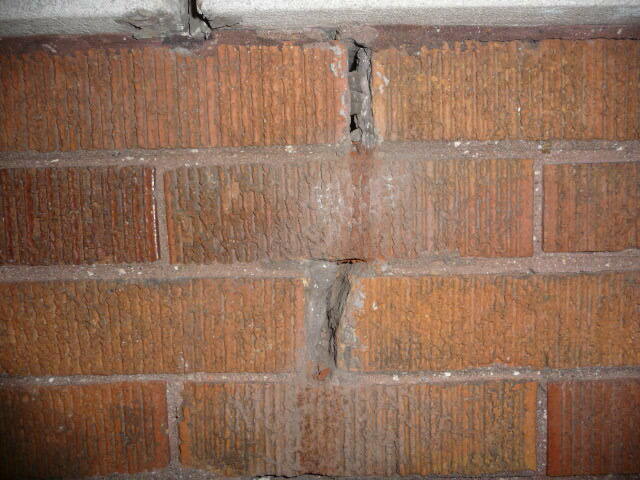 The front wall had massive cracks from lintel jack. 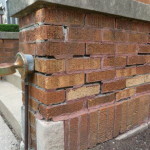 Patching materials manufactured by US Heritage Group (located right here in Chicago) allow repairs for all manner of stone (including sandstone, granite, & bluestone), terra cotta, marble & travertine materials, and concrete. 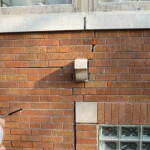 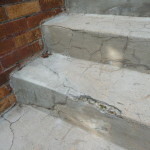 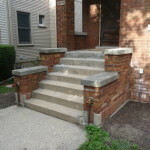 We used the MT15 Marble and Travertine Repair Mortar for the damaged brick faces. 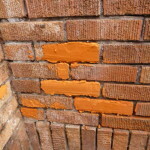 The material is mixed with water and tinted the correct shade. 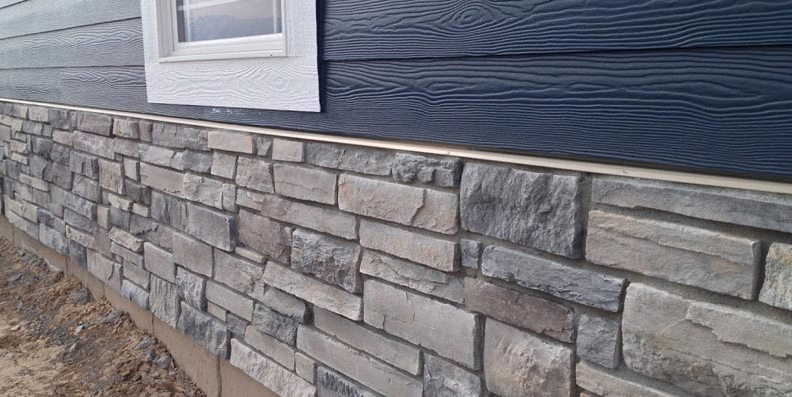 Tinting takes a bit of practice, but it’s not hard. 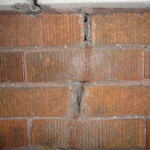 The raw mix is spread onto the damaged bricks and cleanly formed. 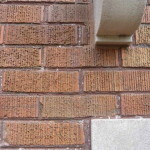 As the material hardens, edges are formed and faces squared up. 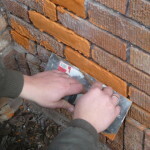 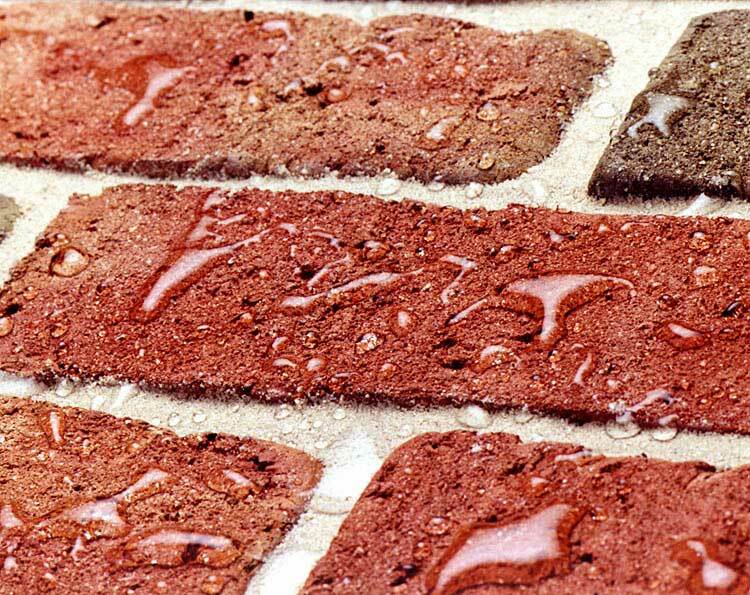 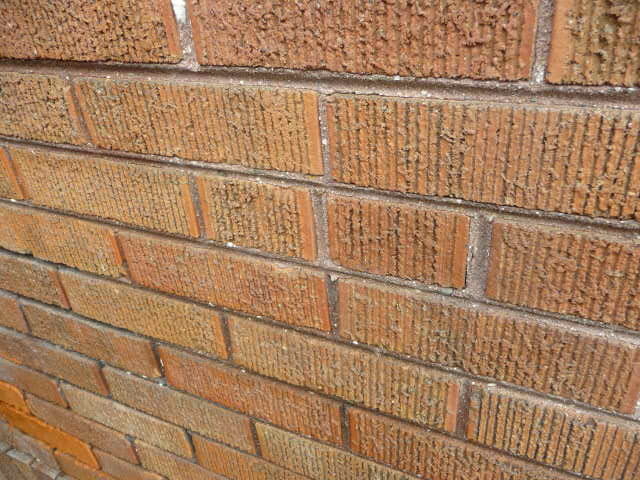 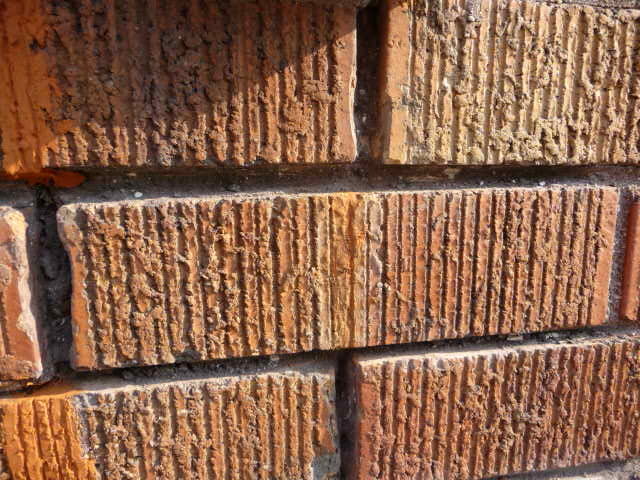 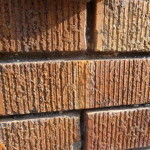 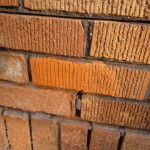 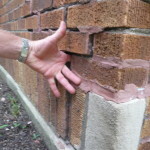 Some bricks require a couple applications to build up adequate thickness. 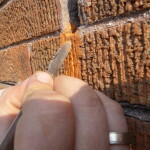 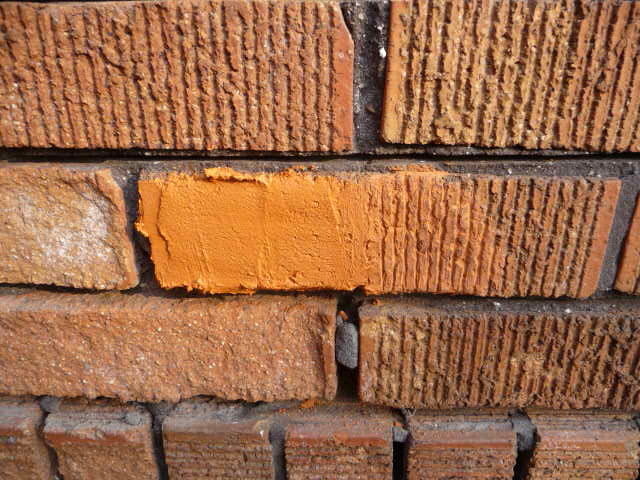 Once the compound begins setting, textures are worked into the brick face. 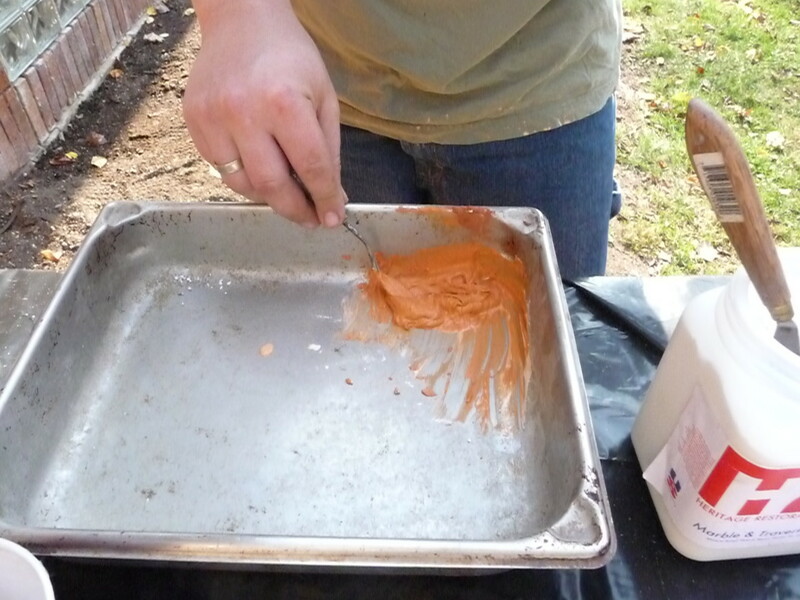 As the compound sets, it darkens. 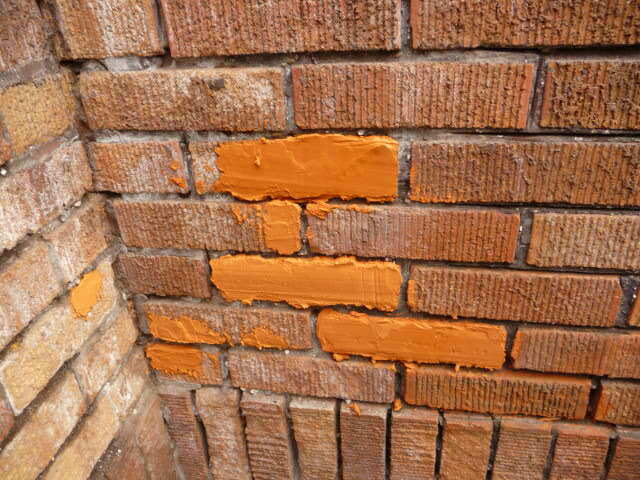 The patching compound is nearly dry and it’s taking on it’s final color. 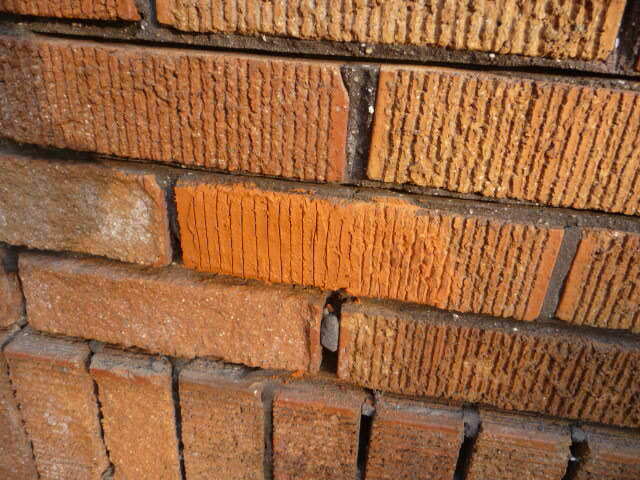 Close up shot of the repaired bricks. 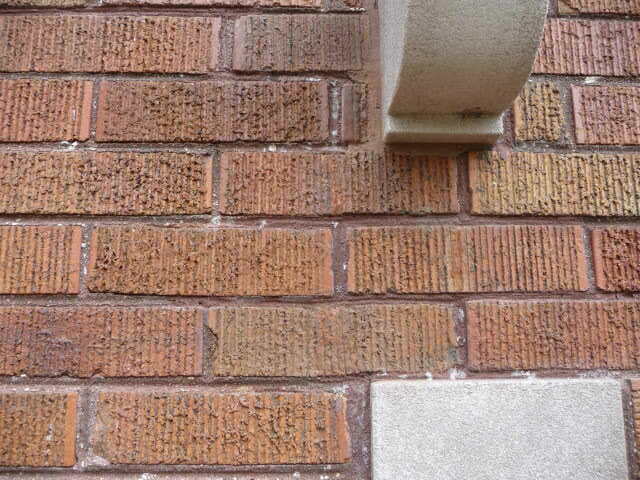 They are indistinguishable from the surrounding bricks. 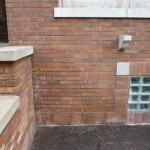 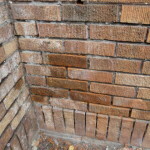 After the brick repairs were made, the rest of the large cracks were patched and repaired with lime based mortars matching our original mortar, and then tinted to duplicate color and the miscellaneous lime chunks found in the original mix. 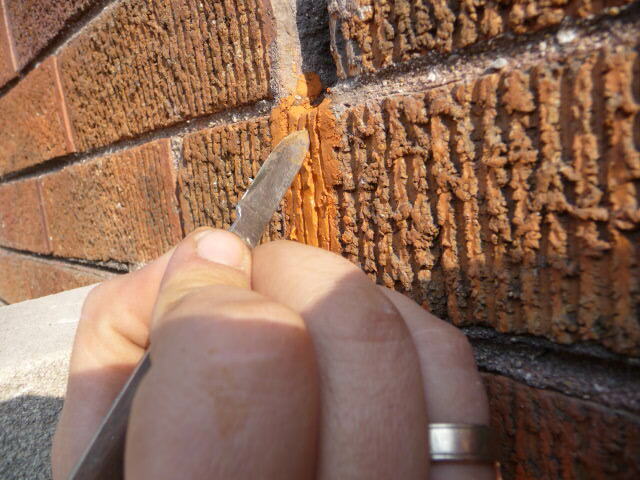 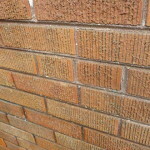 Cracked and broken brick are repaired with MT15 and etched. 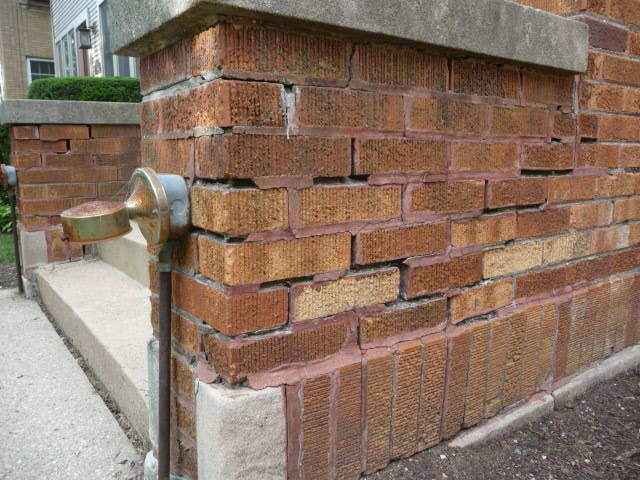 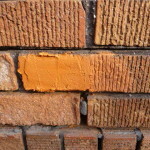 Repairs are indistinguishable from the original brick. 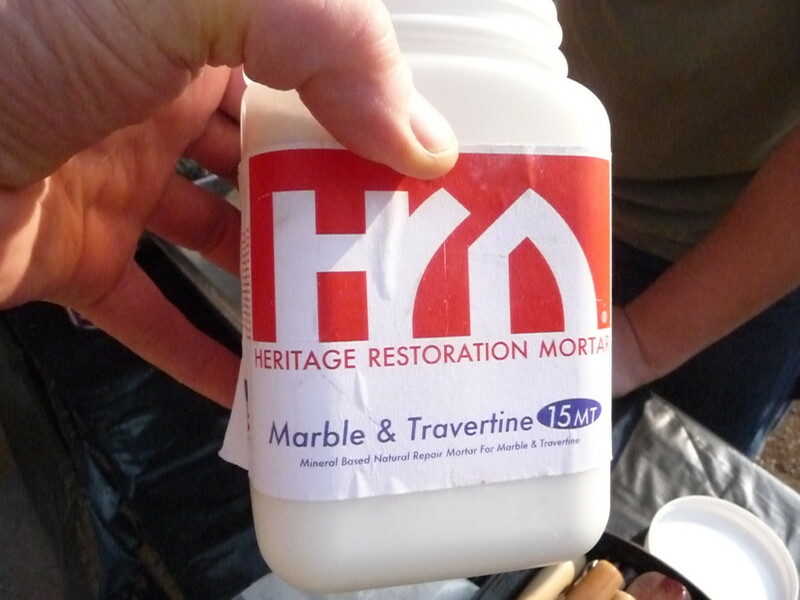 Close up of previous area showing repairs with lime mortar matching original tint. 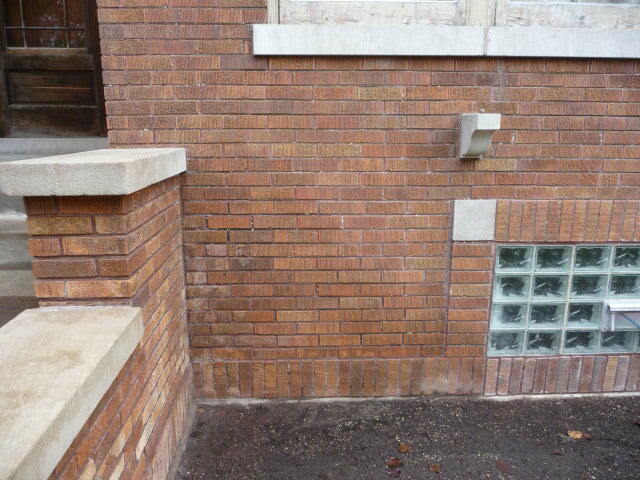 Finished front wall before cleaning. 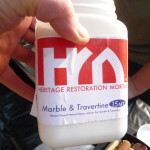 Volume II shows the final cleaning, pointing with lime mortar, and finished porch looking as good as it did nearly 100 year ago.